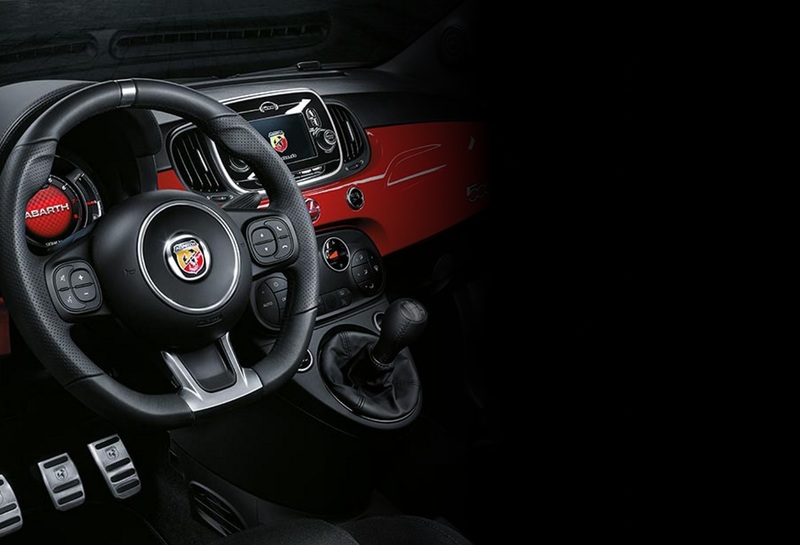 Technology The 595 Competizione’s infotainment system is easily accessed via a five-inch touchscreen. DAB radio and an AM/FM radio can also be operated using steering wheel-mounted controls, to give you more ease and control when driving. An optional upgrade provides a seven-inch screen, satellite navigation and more. Fall in love with the quality sound of the optional BeatsAudio™ system. With 480 watts, digital eight-channel amplifier and two dome tweeters installed in the front pillars. Not to mention, two midwoofers (165 mm) in the front doors, two full-range (165 mm) speakers in the rear side panels and one subwoofer (200 mm) in the boot.